The Vision of ACASA is to create a Center of Excellence in "Systems Thinking" in collaboration with a number of schools at the University of Pennsylvania and a number of corporate partners. The Mission is to conduct theoretical and applied research, education and service to industry, government and education, using systems sciences and systems thinking as global knowledge and competency resources. For information contact Dr. John Pourdehnad, ACASA Associate Director. Aero Consulting Experts is a group of aviation consulting specialists with more than 135 years of combined experience in commercial aviation, general aviation, military, and corporate flight operations. Based in Los Angeles, CA, the company provides aviation experts to Law Firms, News Media, Television and Film Production, and Aircraft Operators worldwide. It is our aim at Aero Consulting Experts to work within a client’s budget to achieve the best possible outcomes and results no matter what the size or scope of the project. For information contact Captain Ross "Rusty" Aimer, retired United Airlines Captain and aviation expert. As with any other function in a Business, organisations recognise the need to establish a more robust Business Process Management (BPM) discipline. They do this to scale up their performance, or as we put it: "to enable the journey to the next generation enterprise". BPM transforms strategy into execution – getting those good ideas into consistent execution, at pace, with certainty. The BPM-DTM Framework is a patent-pending architecture and toolset to establish the right BPM DisciplineTM in an organisation. This sets a reference framework for the BPM discipline and is a useful guide to improving this capability regardless of the current maturity of your BPM function. Both organisations with mature BPM and those starting the journey have already benefited from this pragmatic guide. For information contact Dr. Mathias Kirchmer (US) or Peter Franz (UK). DAVPHD is the executive coaching practice of Dominick Volini, Ph.D. Based in the New York City area, Dominick coaches individuals on leadership skills, teamwork and behavioral issues which may be part of a large organizational effort (e.g., merger, new business strategy, business start-up) or focused on one individual's needs. His approach is shaped by his career-long belief in Whole Systems thinking which promotes increased awareness and communication including to "be open" to feedback, to input about one's projects, to what is said and not said by colleagues, to new opportunities and to different points of view. The simplicity of this approach replaces popular "step approaches," is easy to remember and very effective. There is almost no one who cannot benefit by improving awareness and increasing communications. For information, contact Dr. Dominick Volini. ICCPM Ltd was established by Australian, UK and US government bodies and major defense industry corporations, and is now a substantial network of global corporate, government, academic and professional organisations committed to the better management of complex projects across all industry and government sectors. ICCPM USA Inc. (ICCPM North America) is the regional subsidiary of the International Centre for Complex Project Management (ICCPM Ltd), which provides leadership in the advancement of knowledge and practice of the management of complex projects, enabling the global community to better deliver complex projects with real social, environmental and economic benefits. For information contact Fred Payne. Our non-profit, fully volunteer organization was formed in 2001 by a group of students of the work of W. Edwards Deming and related theorists. Through hosting an annual 5-day Forum, our aim is to make thinking about sub-systems, variation, knowledge, and psychology, and their interaction - which comprises Deming's "System of Profound KnowledgeTM (SoPK)"—more conscious. We believe that such thinking about thinking, which we call "InThinking," will allow people to better perceive relationships and interdependencies in human endeavors, across all industries, extending to education systems and our government. For information contact http://www.in2in.org/contact/. With offices in Cape Town and Johannesburg, South Africa, Leadership Options is a leading provider of leadership development and assessment services to the private and public sector. They have delivered learning and assessment solutions to blue-chip companies and the public sector, both locally and internationally. The approach is based on principles of Systemic Leadership Learning, in which a creative design map of systems is used to analyse and interpret application implications of the interaction of various systems within the context of the learning content. For information contact Dr. Morne Mostert. The Leadership Alliance Inc. (TLA) was founded in Canada in 1987 based on a collaborative network of uniquely skilled international authorities (TLA Associates). TLA Associates are committed to supporting one another and to helping clients achieve responsible business and organizational solutions in collaborative and developmental partnership with stakeholder communities. For information contact CEO and president, Peter A.C. Smith. Established in 2009, Yuga Design is a team of passionate innovative designers from multiple disciplines. Our design methods reflect the shared vision of providing excellence in distinctive fields. Our vision is to constantly bring out suitable, creative and innovative designs that focus on providing the most apt design solutions for our clients. We believe that the success of a product lies in the perfect synchronization of the client, end user and the design team. For information contact Gautam Madhavan Nair. The International School of Engineering (INSOFE) was launched in 2011 with a mission to build a Stanford in India that will graduate engineers not by numbers but by quality; quality that the industry desperately seeks but is unable to find. INSOFE aims to transform the applied engineering education space in India with an initial focus on Big Data Analytics / Data Science with a plan to replicate the quality, success and global recognition our Analytics programs have achieved with similar high-end areas in all engineering disciplines in the years to come. For further information contact the Executive VP of Academics, Sridhar Pappu. Management Empowerment Training in Asia (META) is a solutions-focused consulting and education company. Based in Seoul, South Korea META provides corporate training, consulting, and coaching to high-potential employees, managers, and executives in Northeast Asia (Korea, Japan, Hong Kong, Taiwan, and China) and helps companies to find a new direction, to strengthen their management, and to solve an organizational problem. META’s consultants and educators deliver services that enhance leadership, management and professional skills, enable organizational and human resource development. 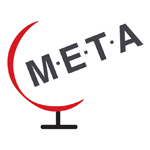 All content and services delivered by META are designed for the ongoing requirements of the global and local workplace.​ For information contact Jongnam (John) Kim. Dreamworx is a young and enterprising consultancy with strong UX and design foundation. We partner with our clients and bring all stakeholder views on the same page to arrive on the requirements. We identify and bridge gaps through analysis and user research. We create solutions and iterate them through user evaluations. And we help clients meet their objectives. For information contact Nandhakumar Vasanthasekar. C Scott Photography, which provided images for our website is an award-winning, woman-owned photography company, licensed and registered in New Jersey. The company provides copies of their work and creates custom portfolios for professional, social and family events. For information contact C Scott.